Automation can be controlled right from your smartphone or tablet. It’s also best to get a smartphone that works in tandem with a reliable network for controlling your home remotely while you’re on the go. For example, a phone like a Samsung Galaxy Note8 or iPhone 7 Plus can leverage apps like Wiser EMS or Nest Mobile. 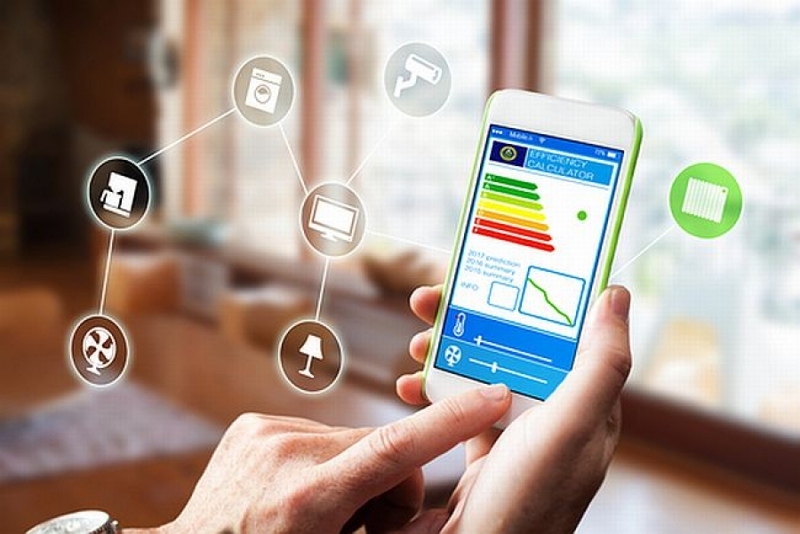 Just about every smart home product on the market comes with an app to manage from your smartphone or tablet so you can improve your energy efficiency whether you’re at work or on vacation. You can go beyond controlling the temperature of your home and actually control its entire indoor climate. The Nest thermostat doesn’t need to be programmed, and instead learns your habits and adapts the climate of your home to your life. The Nest can automatically adjust itself based on your lifestyle, the time you come and go on a regular basis, and when the season changes. You can even control the individual temperatures of specific rooms so your energy efficiency remains high. After using Nest for a week, it can program itself and significantly reduce your energy consumption so you’re saving more on your electric bill. You’ll also get an alert from Nest to your smartphone app if something is wrong like the temperature is dropping low enough to make your pipes burst or the furnace is acting up. You may have heard of energy-efficient appliances already, but may not have heard about smart home appliances that can save both energy and time. Smart appliances allow you to remotely program your washer or dryer to operate in the middle of the night to reduce the strain on the electrical grid. Meanwhile, an energy-efficient smart fridge like LG’s smart fridge can tell you that you’re out of milk and save you energy at the same time.